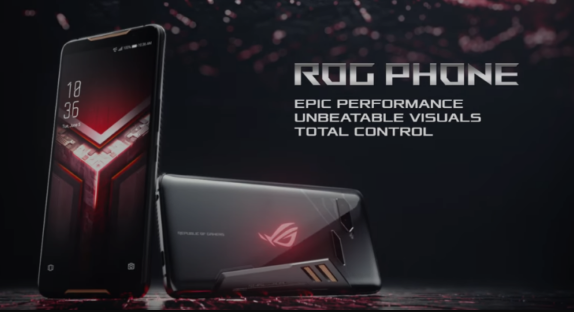 Asus, one of the popular tech giant is working on to roll out Android Pie Update For Asus ROG phone, the first gaming smartphone by the company. This smartphone was launched last year and has stock OS as Android 8.1 Oreo. 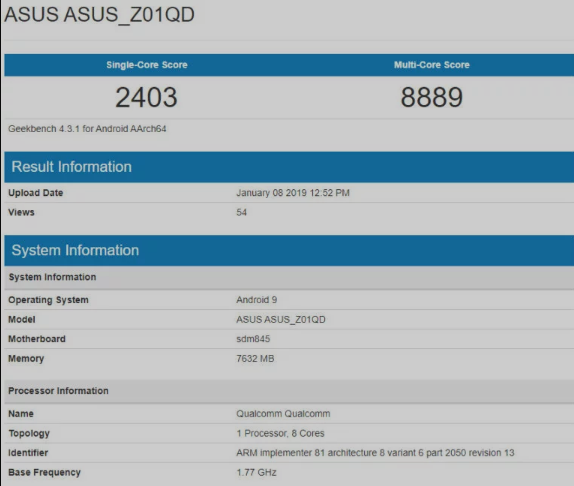 This gaming smartphone Asus ROG was recently seen on Geekbench, one of the most renowned benchmarking portal. According to its bechmarking result, it’s seen the phone is running Android Pie operating system. The result even reveals about some key specs of Asus ROG. Although the benchmarking result has shown Asus ROG running Android Pie as OS, it will take still a few more weeks for the company to rollout out Android Pie update for its users as well. Till now, not any official date is cleared by the company. Till date, Asus has rolled out new OS update only for Zenfone 5 and Zenfone 5z, however it’s expected Asus ROG will be the third phone to receive Android Pie update. Talking about the key specifications of Asus ROG, the first gaming smartphone, it equips a 6-inch display with 2160 x 1080 px screen resolution. Also, the phone supprts HDR content at 90Hz with 1ms response rate for blur-free visuals and 108.6% of DCI-P3 color gamut coverage. Coming to Power-up details, Asus ROG phone features a Qualcomm’s Snapdragon 845 processor that is clocked at 2.96GHz. Also, the chipset of this phone equips 8GB of RAM with 128GB/512GB storage options. To speed up the phone’s performance, Asus has even implemented its own custom technology called Optiflex. Since camera specs now become one of the most common strategy in smartphone industry, it’s very necessary for any phone to have great snapper specifications to rule over the industry. To achieve this, Asus gaming smartphone comes with 12MP Sony IMX363 f/1.7 primary sensor with 120 degree wide-angle lens and a 8MP secondary camera with aperture f/2.0. For selfie snapping, the device features an 8MP front snapper that supports video calling as well. What’s the most special about Asus ROG, is its X Mode that a user can activate by squeezing the sides of te device. Under this mode, the smartphone will terminate all background processes and offers complete processing power to the game. In order to ensure maximum sustained performance while gaming, the Aeroactive cooler is also there which provides instant cooling boost. Asus has made proclaims that smartphone’s 4-speed fan system will keep the device cool at temperature up to 4.7-degree Celsius. For network and other connectivity options, the device includes support to 4G LTE, Wi-Fi 802.11 b/g/n/ac, bluetooth, GPS, 3.5 jack, and a USB type-C port for USB charging and data transfer as well. Alike all other Asus smartphones, ROG even includes a rear-mounted fingerprint sensor, IPX4 splash resistance, Face recognition, triple internal microphones with noise reduction, Live emojis, and many more. Also, to power the device for long backup, the smartphone features a 4,000mAh battery with support to fast charging. As per company’s proclaims, the device can be charged from 0-60 percent in just half an hour of time.